Size: 681 sq.ft. - 1325 sq.ft. Godrej Alive is a prelaunch residential project on wide land parcel in Mulund West, Mumbai. 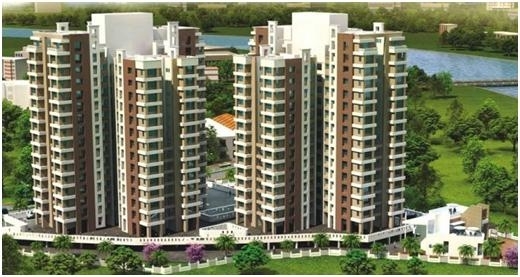 It is a big residential complex being designed by Godrej Properties Pvt Ltd. The project having high rise towers offers panoramic views of Ulhas River & Yeor Hills. This appropriate planning to launch is undertaken by Godrej Properties. Godrej Alive is lavishly designed with a brilliant design aesthetics & modern architecture to match the luxury lifestyle of the residents. The residents can utilize all the amenities without any hassle.The project is like wonder living in flats gives affordable apartment to high income earner as well as low income earner. The final delivery is expected by December, 2024 or much before that. Godrej Properties is one of the top builders in Mumbai. Godrej Developer don't just create buildings, they are desired to give the city something to remember with each project that they undertook. Godrej real estate group is setting up a new residential development near Tip Top Plaza at LBS Road Mulund. The project name is "Godrej Alive Mulund" it is an amalgamation of voluptuousness & nature. Godrej Alive is conveniently located at a prime region and crafted to offer you a lifestyle like never before. A master plan containing 8 towers in total but presently the developer is launching only 4 towers i.e. Tower A, B, C & E. At Godrej Alive you can have advantages of 50+ amenities and facilities to feel active & feel alive every day. The project is stretched out over 6.7 Acres of land where 50% of open spaces is for greenery & other activities. These master layouts of Godrej Alive start from 2 BHK Premium homes to 4 BHK Ultra Luxe homes.Every corner of the apartments is elegantly crafted to deliver all comforts that you truly deserved in your homes. It is being developed & designed by reputed architects & engineers. The project is noteworthy for its luxurious, resplendent interiors and elegant exteriors with a designer landscape.The prices of these exceptional private enclaves are starting at 1.89 Cr to 3+ Cr. The completion date of the project is scheduled in the end of 2024. Godrej Alive is a new housing development that promises a luxurious lifestyle within its confines. You have a variety of 2 BHK, 3 BHK & 4 BHK apartments to choose with different & large square foot area. Godrej Alive is a collection of 4 Majestic Towers of 29 Storey. Each wings of Alive includes Ground with 2 Level Podiums and the residences start from 3rd floor. The project offers full city view from the balcony. Godrej Live interior is designed with premium bathroom fittings, Wooden & Marble flooring, High Ceiling, wide and open balconies& so on. 2 BHK Premium homes offering 2 rooms & 2 Bathrooms ranging between in the area of 787 Square feet, 3 BHK Luxe apartments available with the area sizes of 1079 square feet with 3 rooms & 3 bathrooms, 3 BHK Ultra Luxe residences sizes ranging from 1195 square feet where it offers 4 Bathrooms and 3 rooms & the last option is 4 BHK homes which are ultra luxe have 4 rooms & 5 bathrooms with unit size of 1469 Square Feet. Godrej Alive is an example of luxury of a blissful living, comfort for a peaceful mind and the calming surroundings for a delightful living. It is made for the contemporary living that would allure your mind and soul. The elegant spaces in the apartments will make your mind feel completely active. This on-going project by Godrej Group is ready to offer 1 BHK, 2 BHK & 3 BHK residential units. The complete project consists of 3 high rise buildings where each wing will have 205 flats. The Doors & Windows of Godrej Alive apartments arehaving Laminated Flush door and Powder coated aluminium sliding French windows are provided. The homes of Godrej Alive are well oxygenate, allows ample sunlight enter the living space and also allows fresh air through the windows facilitating the fresh environment in the apartments.The towers of Godrej Alive are about 30+ floors high with modern internal specifications. From the year 1897, the compnay holds 121 years legacy of trust and excellence project delivery time to time. Godrej Properties has delivered many Township, Commercial, residential projects that are spread across 13+ million square feet in more than 12 different and popular cities of India. The developer has received 200 awards as "Real Estate Company of The Year", "Most Reliable Builder for 2014", "Popular Choice - Developer of the Year" and many other awards. This real estate company has best group of architect, designer and civil engineer which help to maintain their reputation and unique identification. Godrej Developer never fails to pick desirable type of location for their projects with the best neighbourhood. The group has launched their upcoming residential development in Mulund West, Mumbai. Mulund West is also known as “Prince of Suburbs” as it is located right at the Junction of Navi Mumbai & Thane. It is a serene locality bounded by Sanjay Gandhi National Park at Eastern Side. The area is home to some of the best schools like DAV International School–This Education institute is at pollution free locality in Mulund West near Kalidas Natyagrihaat Ambedkar Road.D.A.V International School’s only mission is to offer Global Educational Experience to their students. D.A.V International is a school where International School proposes to offer CBSE based syllabus from Pre Primary to Grade 10.With a dedicated team of teachers& other staff members, providing the right balance of care, support and discipline for their students.Hospitals like Platinum Hospital –This health care centre was formed in June 2009 and inaugurated by Shri K Sankhara narayanan & MLC Shri Charan Singh Sapra. Doctors of Platinum Groups provide quality healthcare treatment with every visit. It was started with 52 bedded hospital and with their continuous efforts the bed strength is increased to 100 bedded hospital. Platinum in Mulund is a Multi-speciality Hospital with their establishment in other location like Thane, Vasai & Dombivili. Platinum Hospital Group is super specialist in Cardiology, Cardiac surgery, Brain & Spine Care, Bone & Joint Care, Eye Care, Women Care, Cancer Care, Stomach and laparoscopic surgery and preventive health care.Malls like R-Mall – It is located at a suburb of Mumbai in Mulund & Thane. R-Mall is developed by the number 1 developer of India knows as Runwal Developers Pvt Ltd. It is a fully air conditioned mall having 4 floors where each of the floor have 7 level car parking area. One of the best option as a shopping centre which gives you all under one roof from Super Market, movie theatre – Carnival Cinemas, Gaming zone, Window Shopping, Saloon, Spa, Food Courts with superior quality of food, ATM etc etc… R-Mall is the first & the oldest Mall in Mulund locality. Mulund Thane also serves with good Colleges, Worship Places &it is the most preferred location for residential projects in the city. Godrej Alive Mulund is networked by main region via joining paths and roads. This venture is placed near express highway which lies near Nirmal lifestyle mall & Dmart. This project is near to Sanjay Gandhi National Park and many industrial zones, IT/ITES park, industrial parks and businesses. Godrej is known for its strategic construction planning and providing it to residents at affordable prices. After the launch of Gorej Alive Mulund-Thane is one of the most demanded locations for property investors & end users. Godrej Alive Mulund offers easy connectivity to premium facilities, commercial & business hubs and lavish landscapes. Schools, Hospitals, Malls, Restaurants and Play schools are in close vicinity of the Upcoming Godrej Origins prelaunch project in Thane. If the project has good location and the seamless connectivity then the demand for property will automatically get increased. Location of Godrej Alive Thane project is also at very premium location having good views, air and ample sunlight through the apartments. The location allows best vicinity to the other parts of Mumbai through Western Express highway and is just 10 minutes drive from Thane Station, Bus stop and Auto stop is Just outside the gate of the complex. Godrej Alive is a new launch in Modella Mill Compound, Opposite Mulund - Thane Circle, LBS Road, Thane West, Mumbai. Developer :- Godrej Properties is been ruling in Real estate market since its inception in 1990 under the leadership of Adi Godrej. Earlier this pvt ltd company was introduced as Sea Breeze Constructions & Investments Private Limited in 1985 and then in 1990 the name was converted to Godrej Properties Pvt Ltd. Godrej Properties private Limited is a division of Godrej Industries Ltd. Godrej Industries is India’s leading manufacturer of Oleochemicals where every year they produce over 160,000 Metric Tonnes of chemical products for use in various industries. Godrej Properties Company is Mumbai based and operational across more than 12 cities in India. The city names include Chandigarh, Gurgaon, Ahmedabad, Kolkata, Nagpur, Mumbai, Pune, Hyderabad, Mangalore, Bengaluru, Chennai and Kochi. Godrej Properties has structured 68+ residential properties and 42+ current ongoing projects with international standards of construction. The projects of Godrej Properties are estimated to establish more than 89.7 million Square Feet. Their only motive is to serve township, residential & commercial developments. The developer has innovatively designed luxurious residential projects by choosing posh location for the constructions, their top 10 & most sought after projects are Godrej Prime - The Prime by Godrej Developer lies at Chembur Mumbai spread over 3.54 acres of plot with wide range of amenities. Godrej Prime gives variety of options to choose from 1 Bed, 2 Bed & 3 Bed residential units. This under construction project has launched more than 1000 apartments till date and overall project completion date is scheduled in 2022. Godrej Sky Gardens is an upcoming residential project at Badlapur beyond Thane holding 3 High rise towers at Godrej Vihaa residential complex. Sky Gardens is designed over 12.84 acres of plot within 52 acres of Vihaa Complex. These one and two BHK homes are available above 27 lakhs to 50 lakhs. The development is expected to complete by 2021. Godrej Prakriti which is located in Kolkata, Godrej Prana at Pune, Godrej Azure in Chennai, Godrej United in Bengaluru, Godrej E City in Bengaluru, Godrej Garden City in Ahmedabad& Godrej Vrindavan in Ahmedabad. Godrej Developer has been honoured with 200 awards as "Real Estate Company of The Year", "Most Reliable Builder for 2014", "Popular Choice - Developer of the Year" and many other awards. This contstrcution company has best architect group, designer and civil engineer who all keep working to maintain the reputation and unique identification of Gorej Properties. A residential project with good amenities & numerous features add more positive points to the project. Godrej Alive is providing ultra-current amenities such as Separate Entry & Exit way, Amphitheatre, Basket Ball Court, Zen Garden, Security Cabin, Jogging track, Cycling track, Senior Citizen club, Lavish lounge with pool view, Culinary Club, Barbeque Pavilion, Star Gazing Telescope, Backyard Bowling, Outdoor library with a wide range of novels, books, journals, will be in place for the readers, Aqua Gym, bungee dancing, Tai Chi, digital workout, Pet Park, Picnic Lawn, Toddlers play area, Mini Basketball Hall for kids, Board Game Zone, Rehabilitation centre, Massage and yoga centres, Archery, Huge playground, Organic Garden, Various types of pools like half lap pool, water cascade, kids pool, shallow pool with sundeck chairs etc. Home buyers prefer big residential complexes where all kind of latest amenities will be offered to them like Full Fledged Club House, Swimming Pool, Indoor Gym, Yoga Room, Basketball Court, Indoor Badminton Court, Tennis Court, Cricket Pitch, Sauna, Party Hall/Lawn, Meditation Garden, Senior Citizen Alcove, Dance Studio, Kids Play Zone and many more. Schools – DAV International School, A.K.Joshi English Medium School, Billabong High International School, D.A.V. Public School, C.P. Goenka International School, Podar International School, Hiranandani Foundation School, DAV Public School, Saraswati Vidya Mandir. Colleges – VGVaze College of Arts, Science & Commerce, St. Lawrence Junior College, M.S. College of Arts, Science, Commerce & B.M.S, G R Patil College of Arts, Science, Commerce & B.M.S. Shopping Malls – R-Mall Mulund, Korum Mall, Nirmal Lifestyle Mulund, Dreams the Mall Bhandup, Viviana Mall. Banks/ATMs –Punjab National Bank, ICICI Bank, TJSB Sahakari Bank, Bank of Maharashtra, Yes Bank, State Bank of India. Railway Stations–Thane Railway Station, Mulund Railway Station, Nahur Railway Station, Bhandup Railway Station, Kanjurmarg Railway Station, Vikhroli Railway Station, Ghatkopar Railway Station, Ghatkopar Metro Station, Asalpha Road Metro Station. Hospitals –Abhiman Maternity and Surgical Hospital, Hira-Mongi Navneet Hospital, Holy Trinity Hospital, Aayush Multispeciality Hospital, Nulife Hospital PvtLtd, Chatrapati Shivaji Maharaj Hospital, Hiranandani Hospital, Navnirman Maternity And Surgical Hospital, Ghatkopar Hindu Sabha Hospital, Lotus Ent Hospital. Corporate Hubs –Tata Consultancy Services - Yantra Park, Supreme Business Park, L & T Business Park, ACC Limited. Restaurants –Hotel Shilpa Residency, Archana Veg. Restaurant, Barbeque Nation,The Food Studio-Kitchen & Bar,Woodland Retreat.